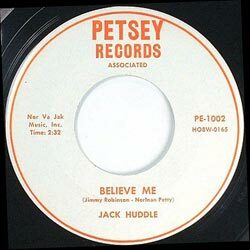 Jack Huddle is born in Paris, Texas into the family of Adrian and Velma Huddle in 1928. Five years later he is joined by his only sister. Jack loves to sing and play the guitar already at a young age. 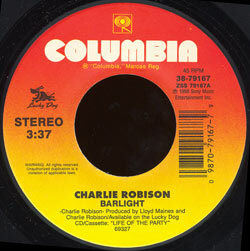 Sometimes he plays on the air on radio KPLT. At age 16 Jack gets married and soon after, he joins the Navy to serve for 3 years in WWll. After his return to Paris , Jack starts playing the bass fiddle in dance bands. His marriage soon breaks up and his wife leaves with their newly born son. Again Jack gets drafted to do his duty in Korea for 10 months. In 1952 he enrolls in the Foods and Nutrition department at Texas Tech University and moves to Lubbock. He also moves there for the love of his new girl Dolores. His parents and his sister soon follow him to Lubbock. His father starts working as a grocery store clerk and his sister starts working in a biscuit factory together with Peggy Sue Gerron. 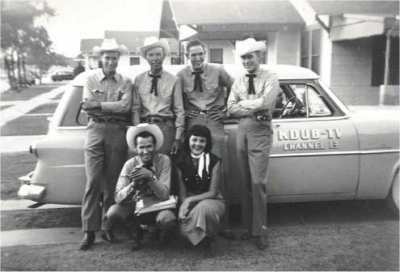 In 1953 he starts working for the brandnew KDUB TV Channel 13, the local branche of CBS. Because of his friendly manner and his way with children he hosts the children's programme “Children's theater” every weekday. For this programme little children flock to the studio every afternoon to sing their songs or tell their stories to Jack and the camera. 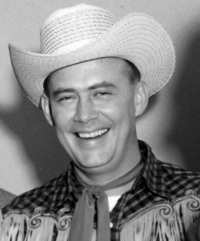 On an evening show once a week called “Circle 13 Roundup”, Jack is accompanied by a combo and sings popular western hits of the moment. 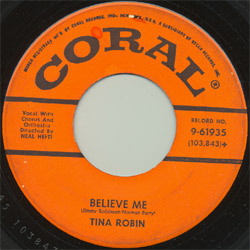 On this show he sometimes teams up with Charlene Hancock, the sister of Tommy Hancock. 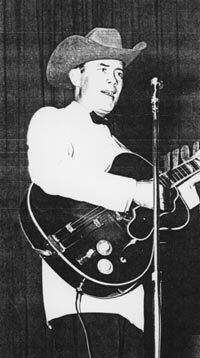 Tommy was the owner of the infamous Cotton Club in Lubbock where Elvis and Little Richard did shows. 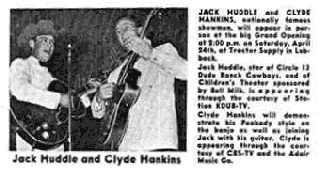 Also Clyde Hankins is asked by Jack to join him now and then. Clyde works at the Adair musicstore in Lubbock and is known for selling Buddy Holly his first Fender Stratocaster. He also tought Buddy how to play the guitar and widened Buddy's view to musical styles other then country, especially jazz. 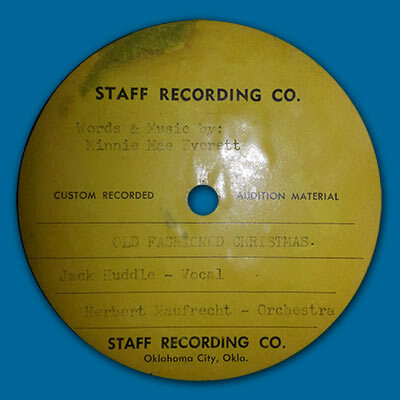 In 1953 Jack gives a young Buddy Holly a break when he lets him perform with his friend Jack Neal as the Buddy & Jack duo on the talentshow “Around Lubbock”. 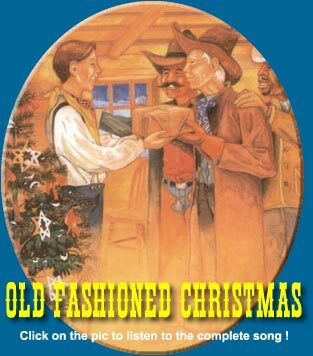 For a short stint Jack even hosts a Grand Ole Opry type show called the “G.E. Jamboree”. 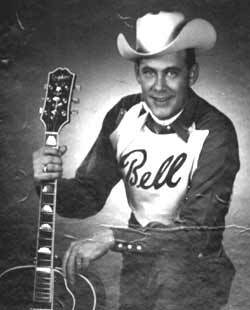 In those years at KDUB Jack becomes widely known in the West Texas area and plays lots of gigs whenever and wherever he can. Living on the Texas Tech campus with his wife and 2 daughters. 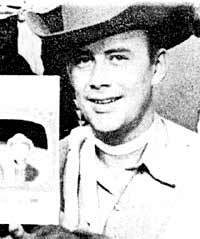 On April 28 1957 Jack makes the trip to Clovis , New Mexico together with his friend and writing partner Jim Robinson. Buddy Holly is also there or is asked by Jack to go with him. 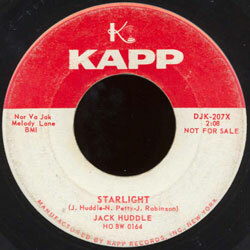 Buddy plays lead guitar on the recordings made that day: “Starlight” and “Believe Me”. 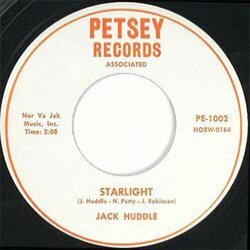 The instrumental break on “Starlight” is often considered as one of the most catchy guitar breaks by Buddy on a non-Buddy or non-Crickets record. 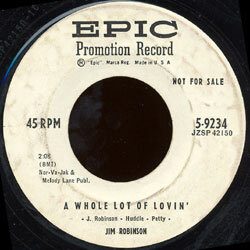 The session is kicked of by Jim Robinson singing “Whole Lot Of Lovin' “ and “It's A Wonderful Feeling”. After that it's Huddle's turn. 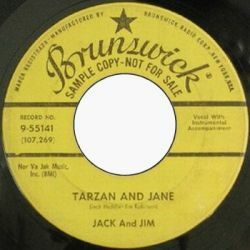 Jack and Jim record two other songs in Clovis in 1959. 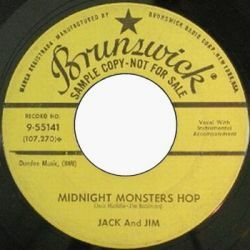 “ Midnight Monsters Hop” and “Tarzan And Jane”. Buddy doesn't play on them. 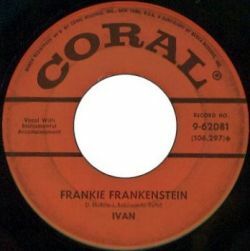 Jack and Jim also wrote “Frankie Frankenstein” that was recorded in Clovis and sung by Jerry Allison, Buddy Holly's drummer. Around 1959 Jack has seen enough of Lubbock for unknown reasons and leaves for Houston . There he keeps playing gigs and starts working as a sales manager for a valve company. 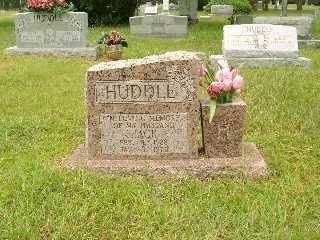 In 1973 he dies suddenly of a heart attack at the age of 45. 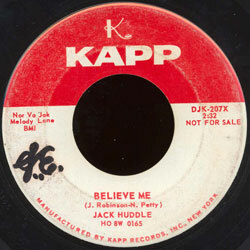 This song was written by Minnie Mae Everett who liked Jack’s voice (don’t we all). 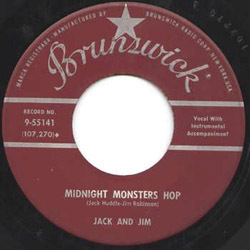 Jack recorded the vocal / guitar parts in Clovis on 30 November 1958 then Norman sent the master to New York for overdubbing complete with bells and big band arrangement. The song was never released until now. The demo has probably not survived. 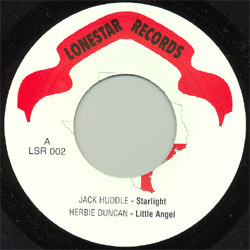 Has Jack Huddle influenced Charlie Robison? One could think it with 'Barlight' whose construction is close to 'Starlight'.